Inspired by digital hyperconnectivity, by the influence of networking on the life in the suburbs and by the human factor as nourishment and release in the urban context, studioAIRA’s installation launched the first edition of Periferica Festival. The key was to make an installation based on projection mapping technique, filming it to make a promotional teaser and then reveal it during the festival. 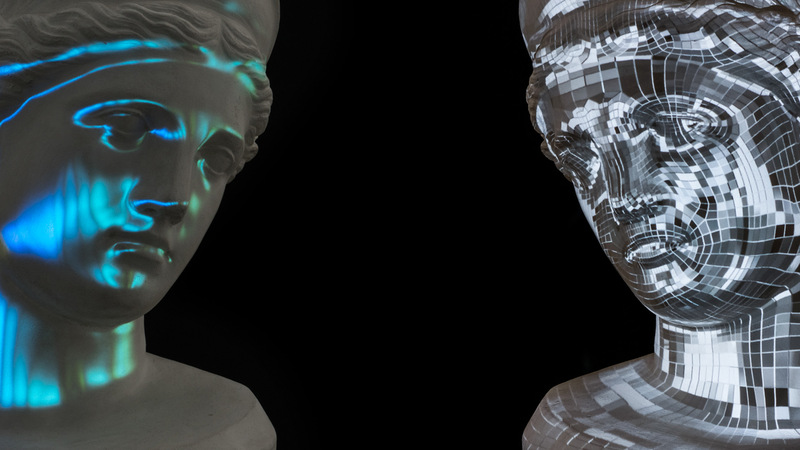 This video projected sculpture of a woman talks about coexistence and hybridization between classic ruins and urban contemporary spontaneity in a city like Rome, with a strong and always visible artistic heritage. Animation, Projection Mapping, Shooting: studioAIRA!